The Missionaries of the Sacred Heart have been working in India for over 30 years. 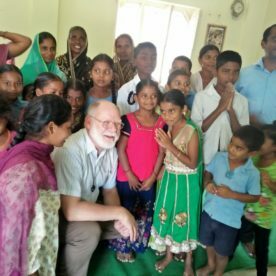 MSCs currently minister in seven parishes in rural India and one parish in Bangalore. 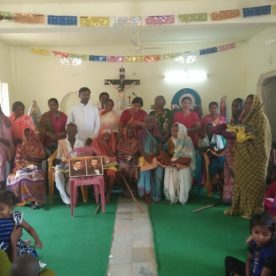 In Mulakaluru and Janakipuram, two parishes made up of six villages, MSCs are ministering to marginalised Catholics who are challenged daily by prejudice and poverty. Since 2010, local MSCs have been renting houses to allow them to be close at hand to these Catholic communities. The presence of MSCs in these areas, ministering to the spiritual, social, and political needs of local Catholics, has been extremely rewarding and empowering. Rent for each house is 6,000 Indian rupees, or approximately €75, per month, and MSCs often have to move when landlords take the properties back. Facilities in these rented accommodations are extremely poor, and MSCs struggle to do their best with the little that they have. 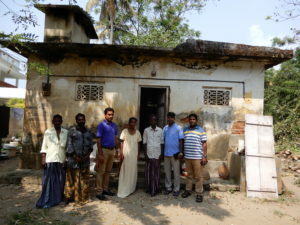 MSCs in Mulakaluru and Janakipuram are in great need of dedicated presbyteries, where they can live, work, and pray. The money currently spent on rent will be put to far better use, while the MSC communities will be able to conduct more effective mission outreach from a secure space and proper living conditions. Without MSC ministry in these areas, local Catholics have little chance of being able to practice their religion in freedom and security. Can you please help us to give them an opportunity to flourish? 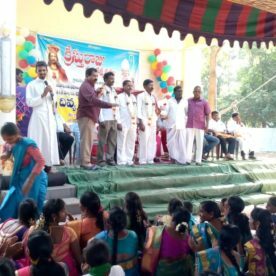 MSCs celebrating local Catholic communities in Mulakaluru. MSCs celebrating local Catholic communities in Janakipuram. 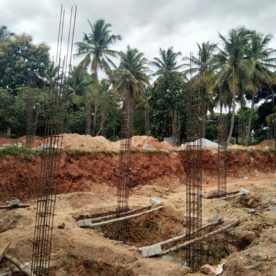 In summer 2016, mission friends in the Irish Province helped us to raise funds for the construction of the formation house of Hridhayala, or the “Temple of the Heart”, in Mysore. There are currently 24 candidates for the priesthood studying at Hridhayala, led by three formators. Mysore student ministry includes parish ministry, education for underprivileged children, youth ministry, visits to the elderly, and prison visits. While great work has been done thanks to the generosity of our mission friends, the formation house remains unfinished. We need your help to complete the construction work and create a safe, secure space for students and their teachers to learn and pray. 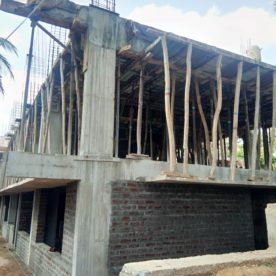 Construction work is ongoing at the MSC Formation House in Mysore, India. MSC students and formators at Mysore Formation House.